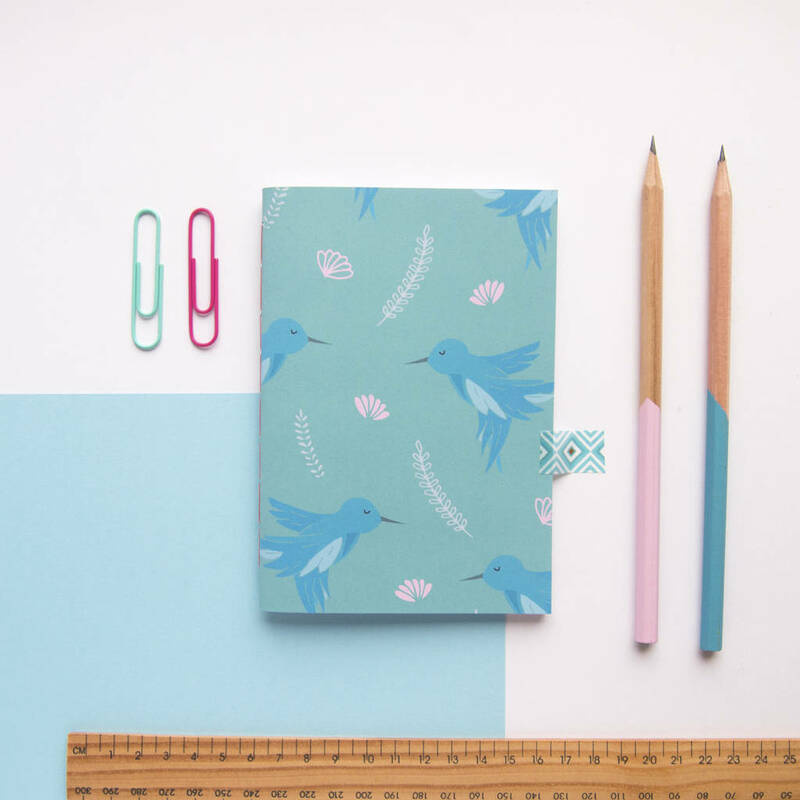 A hand-stiched notebook featuring a cute hummingbird print. Two sizes to choose from - A6 or A5. 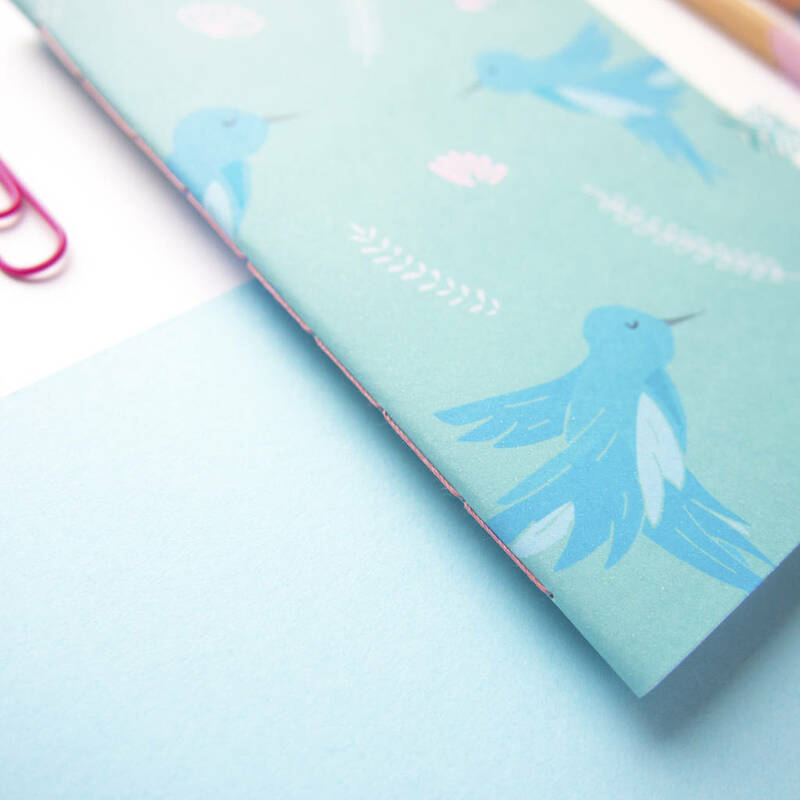 A6 is perfect for carrying around with for quick notes. 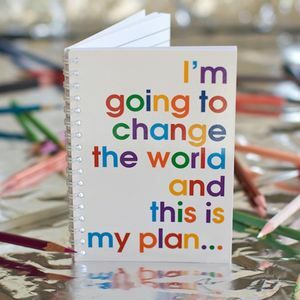 or choose A5 for longer notes or as a project book. 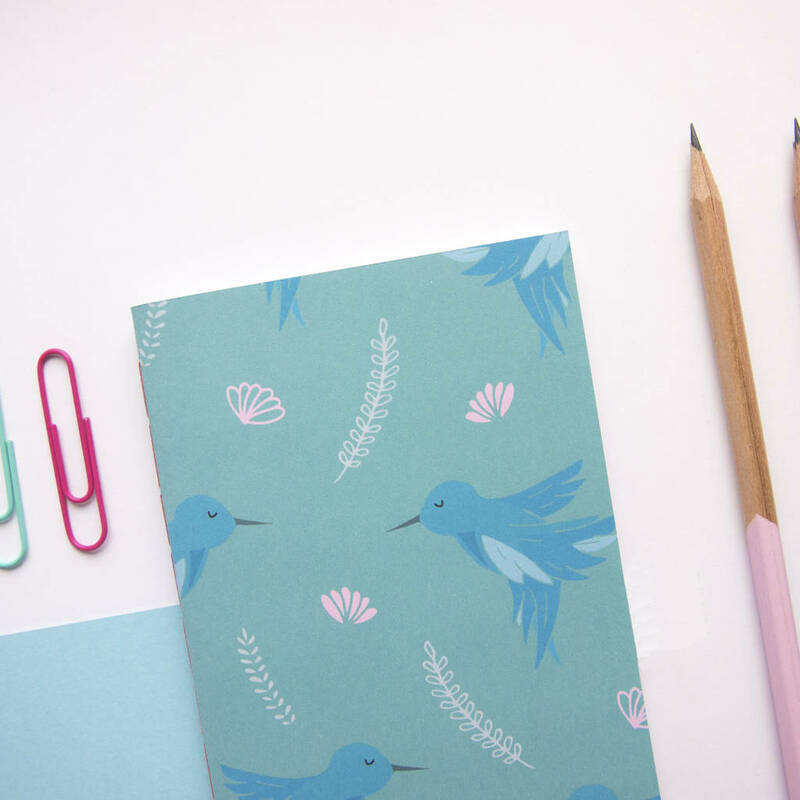 This cute notebook makes a perfect little gift for stationery lovers. The notebook is handmade so is cut, trimmed and stitched together by hand. Contains 48 pages in total. Two sizes available: A6 (10.5 x 14.8 cm) or A5 (14.8 x 21cm). 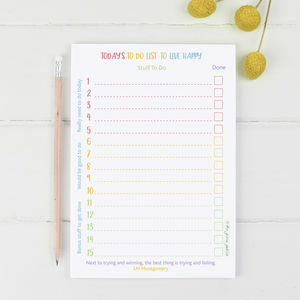 Choose from the following page options: Plain, Lined, Graph or Dotted. 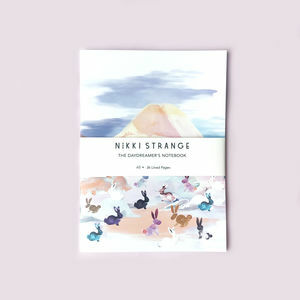 Cover is made from smooth 250gsm (A6) or 200gsm (A5) card. 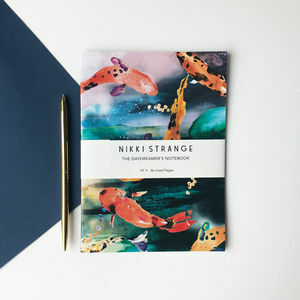 Pages are 100gsm recycled white paper. Stitched together using 100% polyester thread in a matching colour. This product is dispatched to you by Not Only Polka Dots.